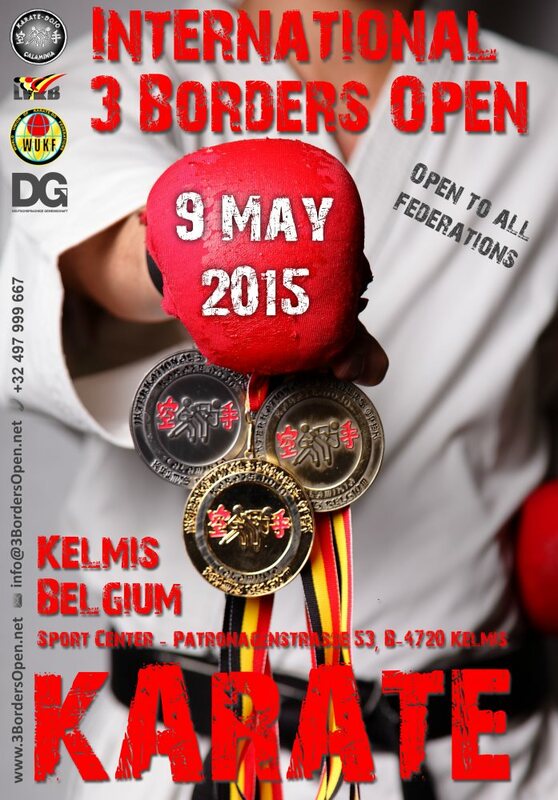 Unfortunately, we were not able to gather enough qualified referees to guarantee an smooth competition and as a result decided to cancel the “International 3 Boders Open” in Kelmis this year. We hope to get better national and international support again next year to provide again the quality event you are used to know. We have a date! 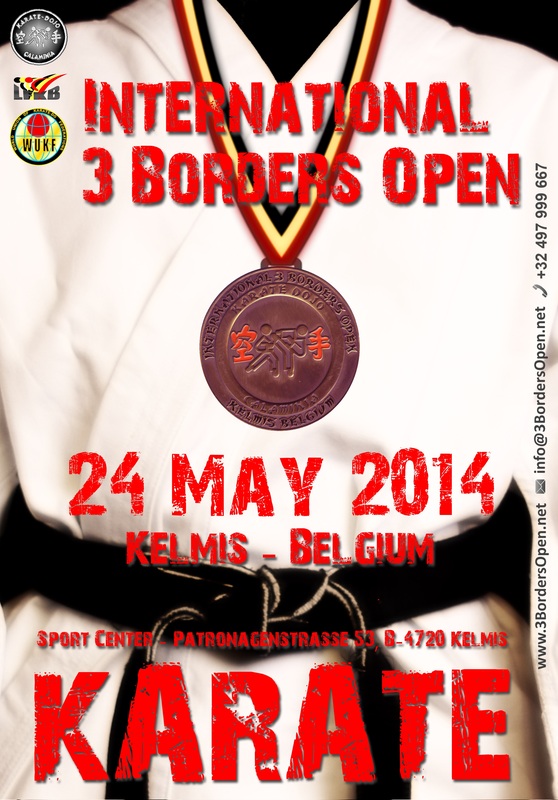 The 7th Edition of the “International 3 Borders Open” will take place May 9th 2015. 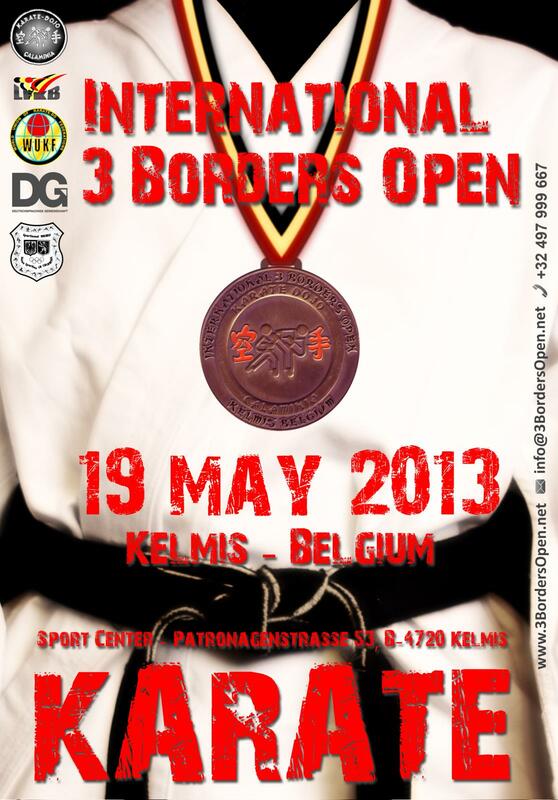 The Karate Dojo Calaminia is happy to annouce the date for the 6th International 3 Borders Open. 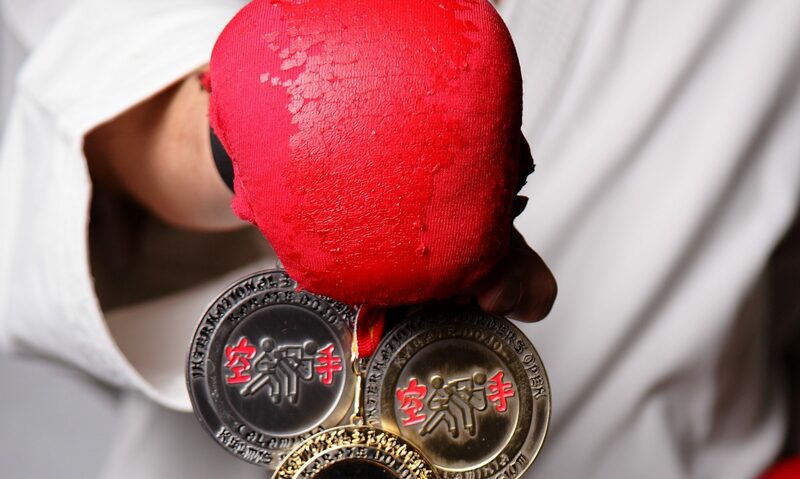 This year, it will take place on Saturday, May 24th. Book the date right now in your calendar.